Last Fall we ran up to T-Boy’s Slaughterhouse to lay in a cache of ponce, boudin, pork sausage, cracklins and Rayne rice. T-Boy Berzas was more than happy to give us a tour. 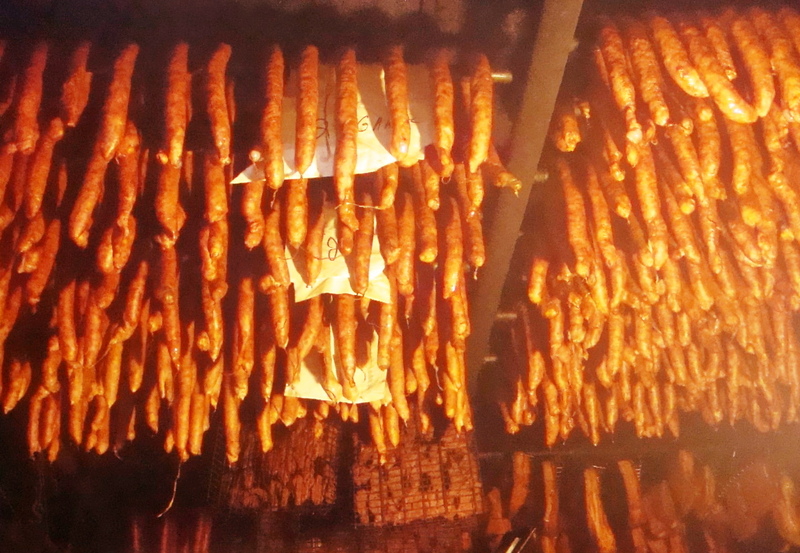 Here’s a peek inside the old meat man’s walk-in smoker. It does the heart of this old charcutiere good to see such a sight. This entry was posted in Louisiana Daily Photo and tagged 2228 Pine Point Rd. Ville Platte, Louisiana 70586, Louisiana Daily Photo, rl reeves jr, t-boy berzas. Bookmark the permalink.